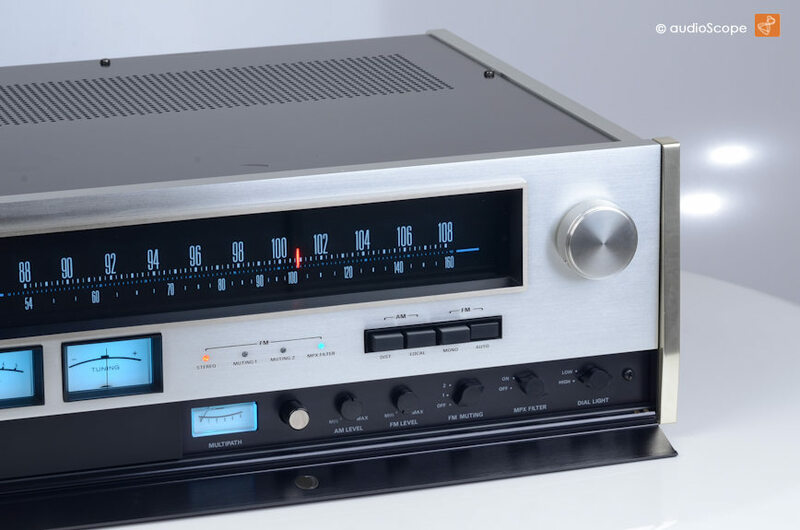 Accuphase T-100 by Kensonic for sale. 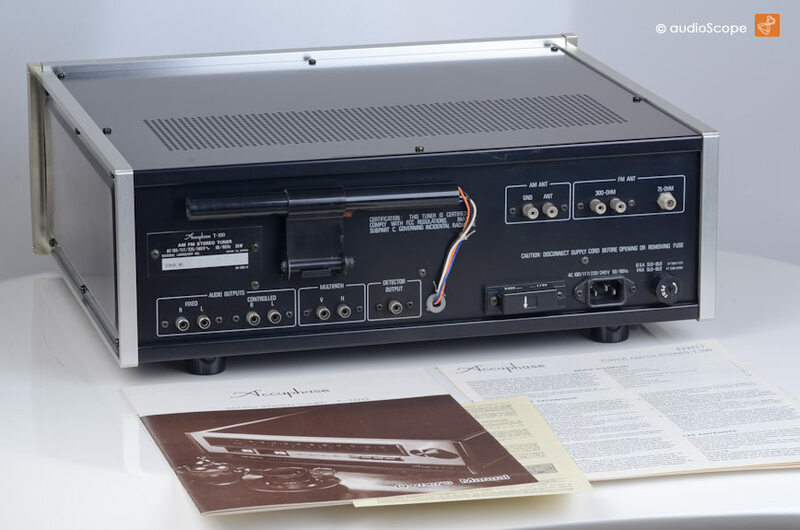 When in 1972 the former Kenwood engineer Jiro Kasuga started to develop and produce finest high end audio equipment in relatively small series under the company name Kensonic Laboratories, no one of the established japanese market leaders really understood that audio history was just written. 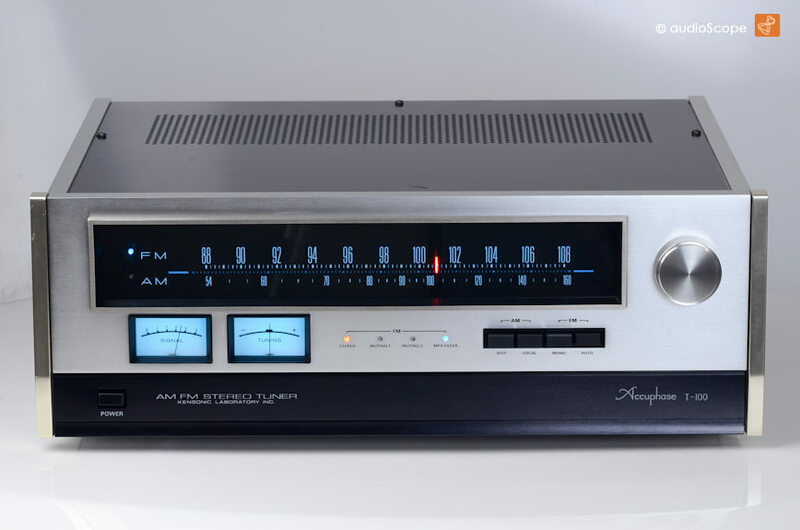 It seemed, that the Accuphase concept just hit the market with perfect timing and it took just a couple of years to establish the brands name on top of the high end scene. Since then, the name stood for infiniteness. 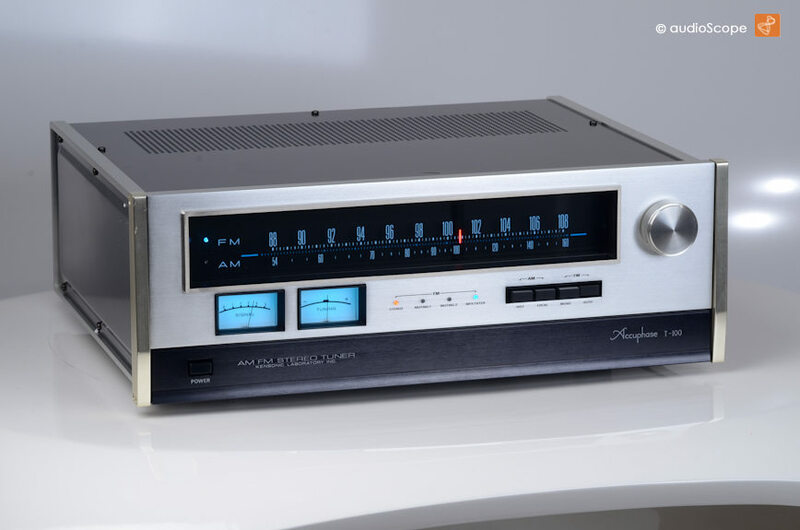 Thier particular style, the workmanship, the finish and of course the breathtaking sound of Accuphase products proved that is was possible to sell finest quality for finest prices. When the T-100 first hit the market, it set entirely new standarts in the brench. The tuner race begun and brought us so many excellent units we would not want to miss. The excellent selectivity and sensivity were almost unreached by standard tuners. The sound is unbeatable homogeneous for that period. 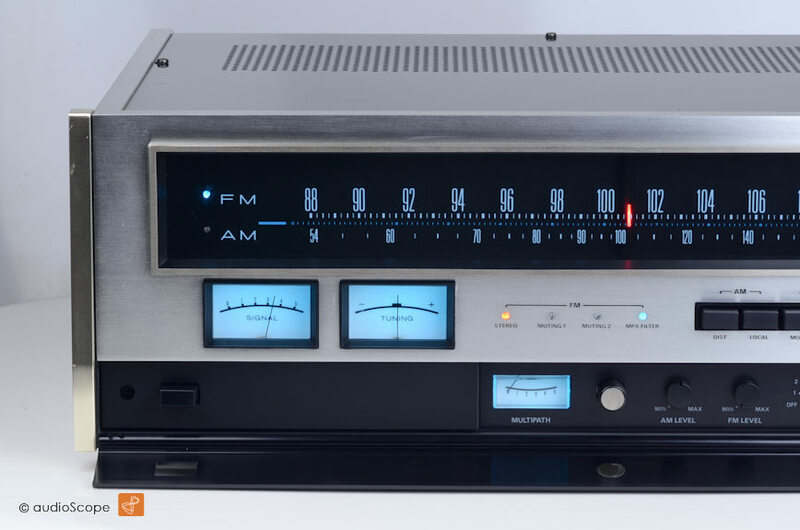 For many audiophiles, the T 100 is the best Accuphase tuner ever made. The optical condition of thi unit is very good. There are few light scratches on top of the tuner, the front panel and the sides are fine. All in all I would rate it 8.5 out of 10. Nothing serious, though. Technically, this tuner has just been entirely disassembled, cleaned and serviced. It looks and plays like it was supposed to do. Fantastic sound. This T 100 will be delivered with the original manual from the first owner. For our US customers, with the line voltage and deephasis adjusted to US standards.